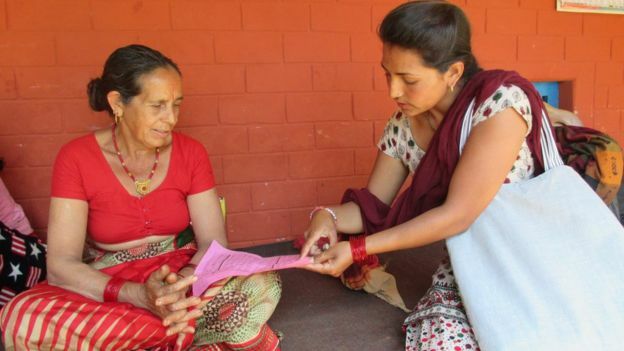 The first local elections in nearly 20 years are taking place in Nepal. Under the new constitution, local bodies have substantial clout – they will draft laws, collect certain taxes and even have some judicial powers. Nearly 20,000 women are standing for election in the first phase on 14 May. 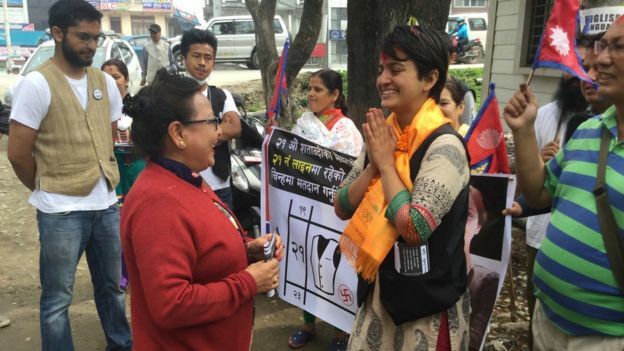 Women must fill certain positions in the local administrations and this has driven strong female engagement across Nepal, especially among women under 30. The BBC spoke to three young female candidates who want to end the dominance of older men. A second phase is expected on 14 June. I grew up seeing regular strikes enforced by political parties and tyres burnt on roads. This had a deep impact on my young mind and I started imagining politics free from these things. Eventually, with a strong conviction that young people can bring about change in society, I decided to stand in the elections for the post of mayor. Young people in Nepal have had ample international exposure and they know what is missing in the country. With their positive energy we can definitely change our current style of government and make the authorities more people-friendly, less corrupt and more accountable. Around 1,500 young Nepalis leave their country every day in search of better jobs and opportunities abroad. Their contribution to the national economy has been huge – but where is their actual representation? I want to be their true representative inside the country. I don’t believe in creating castles in the air like the major political parties are doing during the election campaign. I have a five-year plan to change the face of the city, which is doable. I aspire to make the authorities people-oriented. I have plans to tackle the biggest problems of Kathmandu like haphazard urbanisation and pollution. I may not have experience but I plan to work with teams of experts and my role will be to ensure that the things are in place. In my childhood, my whole family was into politics. My father joined the then-rebel Maoist party and dreamed of bringing change to the country. But he was killed by the state in 2005 when I was just 15 years old. I was already politically aware and I decided from that very day to fulfil my father’s dreams. 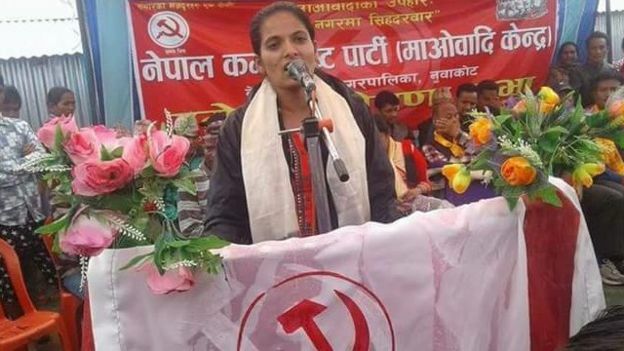 I was already associated with the student wing of the Maoist party. My father used to tell me that he dreamed of a country headed by a commoner and not a monarch. This eventually became true but his dream of delegating powers from Singhdurbar [the government’s central secretariat] to the local level has not yet been fulfilled. I believe the polls for local bodies will make people their own lords. I am contesting the post of deputy mayor which has many judicial powers and duties. As a lawyer, I can use my expertise to exercise these powers and duties for the benefit of the people. Times have changed and young people should come forward to bring about change in society. There will be no better forum than the local bodies to do this. I joined politics after my colleagues encouraged me to do so. I am already married and have a son who is just two and half years old. But my husband and other family members are very supportive and I have been able to continue my association with politics. If young people continue to detach themselves from politics, change will never happen. Whatever the hurdles, if you don’t pick up the rubbish yourself, you don’t have the right to blame the political parties for the mess. Only the involvement of young people will bring positive change. There are no proper education, water, sanitation and infrastructure facilities in my area. Elected local bodies will be an effective tool to address these problems. I represent the community called Dalits, who were treated as untouchables in the old social structure. The problem of untouchability has gone away. But Dalit women are still deprived of opportunities and I want to improve their situation by educating them.